Ice vs. Heat (or both)? 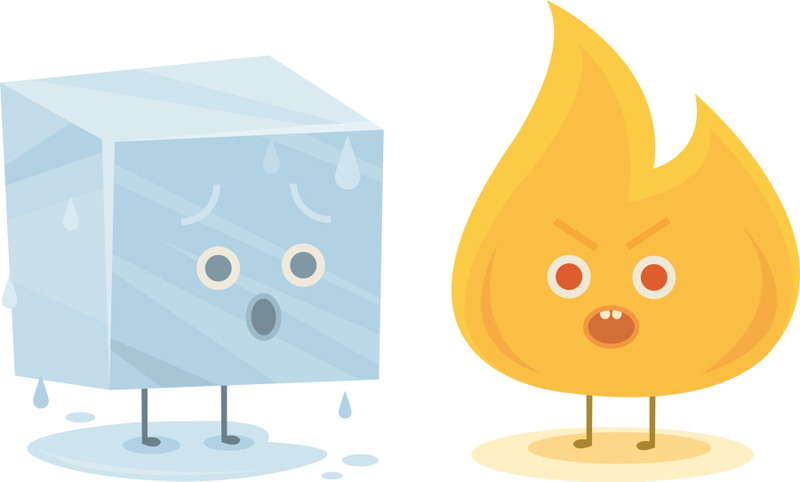 Home › Run Healthy › Ice vs. Heat (or both)? ICE: The use of ice during the initial (acute) stage of an injury constricts blood vessels, which decreases blood flow to the injured area. The decreased blood flow helps to decrease swelling, inflammation, pain, and muscle spasm. Ice also lowers cell metabolism and helps to prevent tissue death. While ice is definitely good within the first 24 hours of an injury, it also has benefits during later stages of injury. Ice can be used after a workout or any time there is pain, inflammation, spasm, or swelling. In order for the ice to achieve therapeutic benefits, the recommended time of application is 20 minutes. During the 20 minutes, the body goes through 4 different stages; coldness, burning, aching, and finally numbness. As soon as numbness is achieved, the ice should be removed. Wait an hour before re-applying ice to the same are. HEAT: The application of heat to the body also has therapeutic benefits. Heat causes the blood vessels to dilate, which increase the blood flow to the area. Increase blood flow will bring oxygen and nutrients to the injured area, as well as help flush out any metabolic waste that was created as a result of the injury. In contrast to ice, heat application will increase cell metabolism, which promotes healing. Heat increases the extensibility of muscle and connective tissue, causing them to be more receptive to exercise and stretching, therefore helping to increase flexibility and range of motion. Heat can be used to increase blood flow to areas of chronic pain, tightness, and muscle spasm. Heat should not be used in the first 24 hours after an injury as it will cause an increase in swelling & inflammation. If you’re uncertain, ask a qualified healthcare professional when you should switch to using heat.